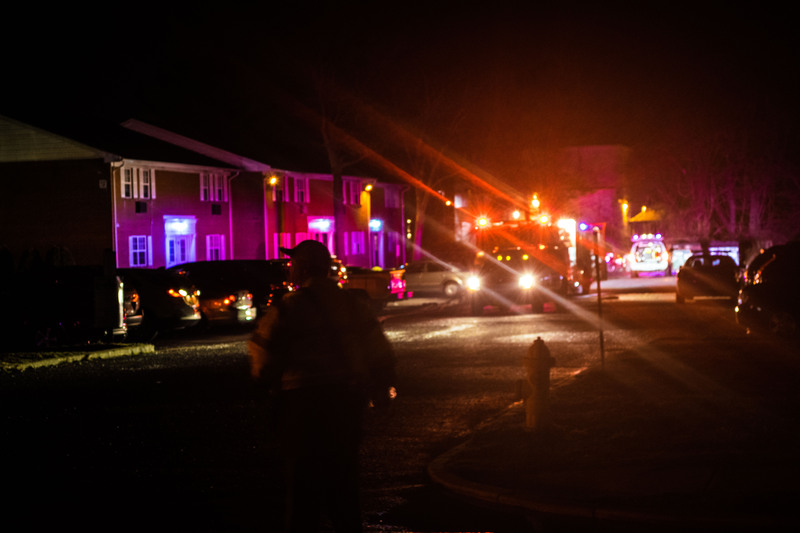 A late-night fire raged in one of the buildings at the Jamestowne Village apartment complex on James Street in Toms River. The fire in Building 22 broke out at about 11 p.m. Firefighters battled the blaze, which sent smoke billowing throughout the neighborhood, for about an hour and a half. By 12:30 a.m., police and fire units were clearing the scene. At one point, firefighters broke through the roof of the building in an attempt to halt the fire from spreading. Utilities to the building were disconnected as crews began leaving at 12:30 a.m., though some utility trucks were just arriving to the area. A fire official on the scene said he knew of two injuries, but believed they were both minor in nature. Shorebeat will report more details when they become available.